I am primarily a colour-shooting photographer. In plain language, this means that 90% of the images I take are in colour. Even if in the end they appear in sepia or black and white, this is an exception, rather than the rule. I love colours. Really - to me very few pictures look good in Black and white. Even street photography - when I do street - is mostly in colour. So, naturally, when I went off to the other end of Bulgaria (a total of 8 hours jolting on bumpy roads in buses) to shoot a traditional Bulgarian wedding reenactment - I was dead-set on delivering all images in colour. Bulgarian photographers don't exactly have a sense of 'togetherness' so as a result we don't exactly have a guild. The Association of Professional Photographers is a new NGO, established only last year. When we gather somewhere, it is because something (or someone) united us. In this case it is the annual gathering of the photographers in Bulgaria, organized by the site www.photo-forum.net (the biggest and most prestigious photo site in Bulgaria - if you have a high rating there, you are deemed good). The event is important since most camera gear manufacturers come with equipment for testing, there is a whole photo studio at our disposal (which is a lot for someone like me, who currently cannot afford setting up a studio) and models to try things out with. The location changes each year so that people can visit more interesting places. This year it was Zlatograd - a small town near the border with Turkey. The place was chosen for its ethnographic complex (the organizers even arranged us to sleep in the complex which was wonderful for night images). There is always some kind of a programme - with lectures and workshops by other professionals and it is usually very enriching in terms of information. 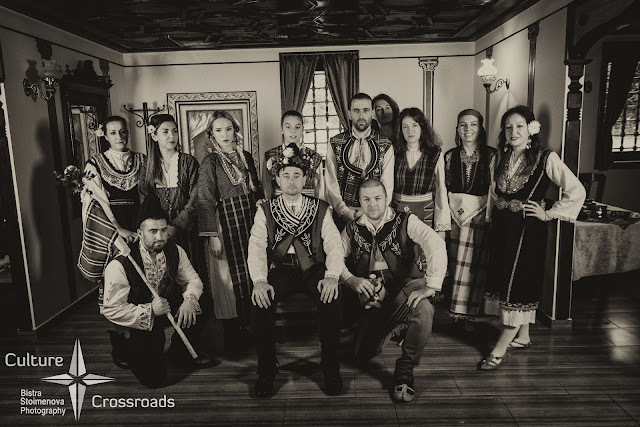 This year, one of the workshops I really looked forward to was the 'traditional Bulgarian wedding' one organized by an agency that is specialized in this kind of weddings (now gaining popularity in Bulgaria). 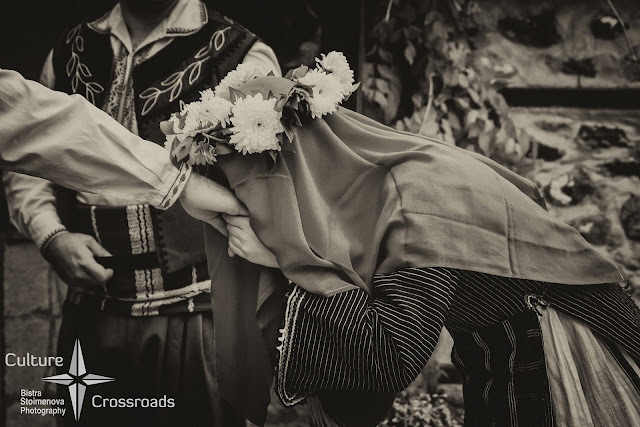 Since such customs are very rarely seen (most traditions are centuries-old but almost forgotten now) and usually weddings are a private affair - I thought the whole thing will look really good on my project, Culture Crossroads. My initial idea was to document the wonderful colours of the Bulgarian national costumes (which are unique in terms of styling and even differ tremendously according to region). All great I ideas I may have BUT things didn't go according to plan. Turned out that I am not the only one planning to do a photo shoot at the event and then use it for portfolio. Besides, how can you create something unique when at least 15 more colleagues are trying to do the same? Still, I think I did well - experience trying to capture the 'wow' shot in crowded tourist destinations helped a lot - and came back with a few hundred images documenting every possible aspect of the ritual from every angle imaginable. I will not go into details about the ritual here since it would take a long time and I plan to create a whole detailed post for it on the Culture Crossroads blog. So I proudly presented a portfolio of around 20 images of the event - all in colour. Imagine my disappointment when everyone (both tutors and peers) said that it looked set-up. Well, it WAS a set up because no one gets married this way nowadays and no one got married that day. Even if a couple decides to follow the traditions, a wedding is usually a private affair so no one outside the immediate family and guests will have access to the pictures. The veiling of the bride - crucial moment in any wedding. Still - I was told that there is no emotion and looks static. Otherwise I love the bright colours because most things in a wedding are colour coded. Like the red veil that is supposed to protect the bride from evil eyes and bad luck. The bride says goodbye to her parents. During the wedding she is not allowed to talk and is basically led around as a puppet (that veil is not transparent so unless led, she may fall somewhere). This one the only image that 'worked' for my peers and tutors. To me - this image really has something and is one of my favourites from the whole trip. During the workshop we made all participants pose for a picture, resembling the old-style images of the end of the 19th and the beginning of the 20th century. This image looks quite set-up in colour, I admit. Needless to say, I was disappointed with that result. Honestly, I had hoped to use these images as a coherent portfolio - counting on the fact that they do tell a story and at least to me, they looked OK. Still, I didn't discard the idea of using the images for my project (after all, I cannot say when I'll have the opportunity to photograph something like this again). So I decided to edit the images right and then see if they are as hopeless as everyone said they are. Editing in black and white is usually the last resort for me in post-processing. The image has to be either hopeless - blown out exposure, messy colours, dull sky - or to somehow scream that it would look good in this. I am saying 'scream' because unlike some colleagues, I am not really good with seeing in black and white. So, when I started editing the images - all 20 of the selection plus a few more I thought inportant for the narrative on my blog - I did the colour edits first. 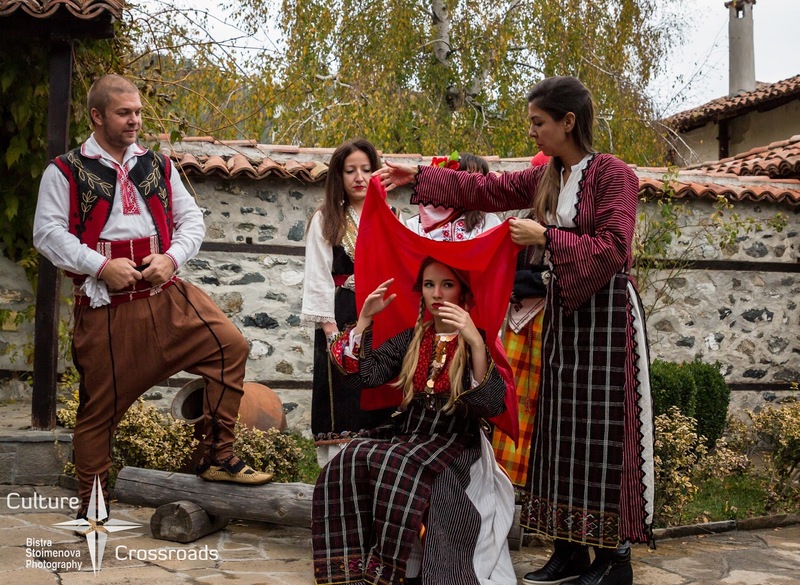 After all, better to show the colour in things - guess that few people outside the Balkans have an idea how a national costume would look like. Then, I got to this image and thought that it is worth a try for something different. This, ironically, was the only image deemed worth for something by virtually everyone I showed it to. So I decided that I should try black and white for it. I was dead-set on using this image for my project because it seemed like the most powerful of all in the series. But to do the blog post I planned, I needed all other images to give context. 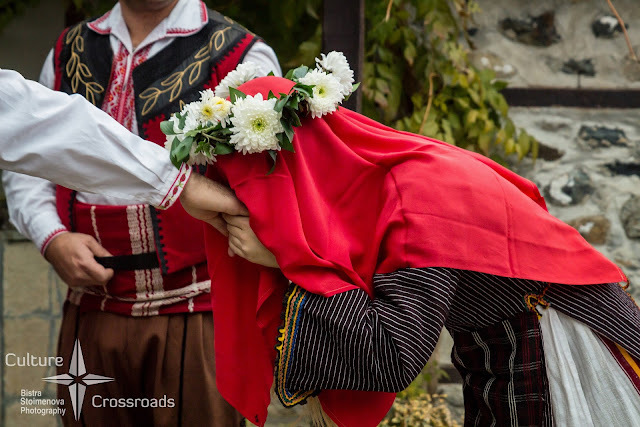 Traditional Bulgarian wedding customs are not so famous so even native Bulgarians need a little backstory. Problem was that if I chose black and white, all the colour codes and their meaning will be lost and I will have a hard time explaining which is what - as you can see from the image above. On the other hand, that type of editing - antique plate - made the images look like they've been taken a century ago and I loved that air of 'autenticity'. So I went on to see if this kind of edit will work with the rest of the crop. Then I reconsidered - I actually hate the plain black and white and prefer toned in sepia instead. I even have a favourite preset that makes people look like antique Daguerreotype plates. Converted the image, tweaked a bit with colour channels (to emphasize that at least some colour existed in the original) and gasped. The magic had worked! Now the image, even though it was not taken 100 years ago, looked ancient and much more authentic. I immediately tried the trick with all other images and was delighted to see that it worked! Turning it to black and white deprived the images of that air of 'set-up photoshoot' and covered up for some problems - like the modern shoes of some of the participants, for example. Moreover, the whole look reminded me of this website: www.lostbulgaria.com - which catalogizes old images taken in Bulgaria during the past two centuries. They are all take out of someone's archives, scanned and then uploaded to the website. This one looks a bit less posed in this edit but still reminds me how old-time photographers used to line people up and make them pose as if it is a natural action caught by accident. Love the air of the image but still have problems with the lack of colours somehow, even though the toned images look much more 'photographic' (personal opinion which I will be testing out these days). This image though, looks much better this way than in colour - the air of 'set-up photoshoot' is still there since it's not 1893, for example BUT somehow it's not that explicit here. These images look totally different in colour, at least to me. They cease to be snapshots and start 'talking'. Even though this type of post-processing may look fake to some, to me it adds meaning to the images. This whole image editing journey left me in two minds. I love my coloured versions (as I mentioned above, I always keep the coloured version) and I will have to use them for Culture Crossroads because without the rich colours of the national costumes I wouldn't be able to make my point with what colours matter and how things work. For example, I have to point out that the national costumes come out of different regions - for example - the dress of the mother of the bride is from one end of Bulgaria and the one of the mother of the groom is from the other end. These ethnographic differences are hard to spot in a B&W shot, even if you know what to look for. So, for the sake of my blog post, explaining the symbolism of the Bulgarian wedding and going step by step through the ritual - I will be using the coloured versions. For posting in photo sites though I will use the toned versions - because they look more 'artsy' and somehow get the render of the scene better without the clutter of colours. Posted by Bistra Stoimenova at 14:56 ч.